This week, to coincide with my Planet of Snail giveaway, I'll be reviewing a series of films from Dogwoof. Today's title, The Age of Stupid, is certainly not my favourite of their titles. It's a quasi-documentary which may be one of the most nihilistic ever made; contempt for humanity which spawned the world we live in, leaks from it's seams and, in short, it's not a very pleasant watch. Have you ever been so certain of something that to win your argument you've taken to bitterly attacking the intellect of your opponents? Rage being a better communicative tool than reason? And, if so, how many times has this approach made your foes acquiesce to your towering intelligence rather than galvanising themselves, encouraging them to stick stoically to their guns? The Age of Stupid is a film which shows that no matter how correct you are, it's possible to lose an argument in the way you present it. 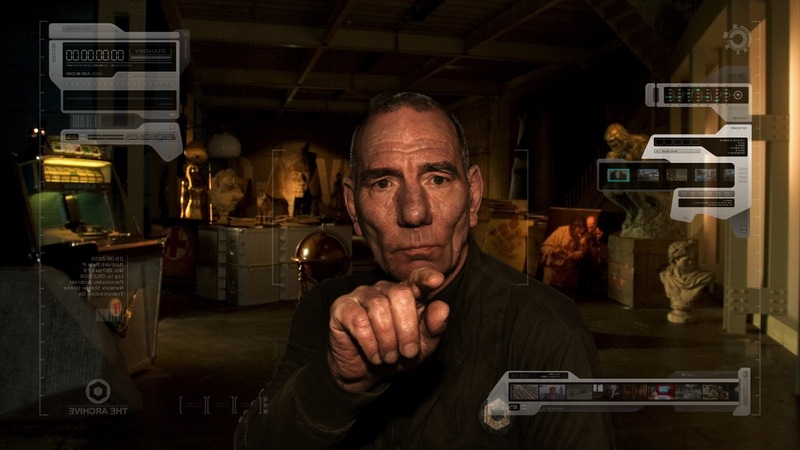 Set in a dystopian future, Pete Postlethwaite stars as a man looking back on all the mistakes humanity has made to get into the sad state of affairs they are experiencing in 2055; it's like a message in a bottle sent through time to warn us that our inability to understand will lead to dire consequences. He collects all the "archival" evidence from 1950-2008 to show what we should have done to prevent climate change and, ultimately, the disaster which hit the earth; he chastises us, the film's viewers, all the way through the feature's running time at every possible opportunity. Oftentimes I'm not quite sure why he's telling me off whilst I watch this film - the mistakes that politicians made some thirty years before my birth is hardly something I should feel guilty about... except that I'm certain that is the way director Franny Armstrong (best known for McLibel) is trying to make me feel. In short The Age of Stupid is a film which fails to show any emotional or political intelligence. It's dumb, it's pandering and, overall, archly pointless. Rather than preaching to the converted, Posselthwaite spends most of the movie shouting over their heads to the idiots who don't deserve to hear him. It's a peculiar approach and, if this film is trying to save the world, a stupid one. The Age of Stupid is a stupid film, which, despite arguing all the right points, is stupidly conceived and with a stupid amount of hubris if they feel their approach is going to work. A waste of time and resources.